Olm to Pst Converters fall under a very specific set of category of software for email migration. 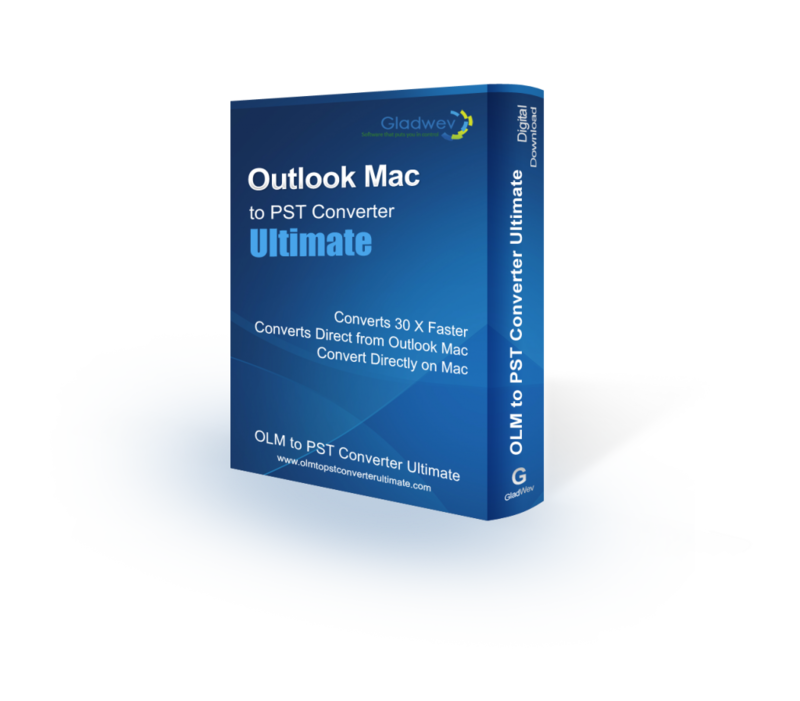 These converters do what the name says – convert the data files of Mac to Windows Outlook. They are in abundance, but aren’t so effective in general with very rare exceptions. If you are looking for a good Olm to Pst converter full version download, that one that can be the exception, you have come to the right place. The answer is “Olm to Pst Converter Ultimate” and is truly an exception in the sea of poorly designed tools. The tool is developed by Gladwev Software. You might recognize the name as the name behind many other email migration solutions that are recommended the most on internet for handling data export between clients. The setup can be downloaded from the link given at the bottom of this article. You can then order your own fully functional Olm to Pst Converter serial to activate it. The serials available are in different licensing packages, suiting different scopes of the software use, such as, Commercial, Household, Individual, etc. Without activation, you can still use it as a free trial version that gives access to all the features, except it limits the conversion to 10 items from each folder. This allows for you to positively evaluate the tool without any limitation or bias, giving the accurate impression of its functionality. It is also not time-limited. The Ultimate tool is built upon the foundation of latest technology to auto-detect your identity folder directly, without asking users to manually archive data to Olm files. It was built keeping in mind the usual drawbacks of traditional Olm to Pst Converters, such as performance with lag, data corruption, information corruption, and such. This Olm to Pst Conversion full version has been given the suffix Ultimate…and it evidently fits. It is the ultimate improvement over the traditional tools and allow users to convert the data files to Pst or the complete database folder to Pst files without any problems. Express and Custom Mode – As pointed above, the tool has the ability to auto-detect the identity database folder, which gives it many more related qualities like speed, accuracy, and speed. To choose this option, users have to select ‘Express’ when they click on ‘Load’ to load their content for conversion. On the other hand, there might be few users who do not have Mac Outlook installed, or might have received Olm file from somewhere else, or might want to convert data from multiple users. In all these cases, they can archive data to Olm files and have them converted to Pst in bulk. It is the traditional way of data migration but Ultimate’s power to easily deal with large and multiple Olm files make even this job a breeze. Support for conversion of all items and information types – Traditional Olm to Pst Converters free full versions, even paid ones, fail to convert everything. They do not support conversion of non-English text, often deliver broken images, can mess with folder hierarchy, and lose email headers. This issue of data loss is dramatically reduced by Ultimate’s edition to the extent that it is almost non-existent. It can read, pickup, and convert everything the database or the files contain. Interface – Much of the row is caused by the poorly designed user-interfaces. It is the aspect of current gen Olm to Pst converters that is often neglected. Most of the tools feel crude based solely from their user-interfaces. Gladwev’s turned this upside down in Ultimate. The UI of the tool is graphical and polished, making the job smooth. The required level of understanding or prior experience with email migration is nil. The complexity is toned down for basic users, but without diluting the functionality of the software. Keep the size of Pst files in check – There are many complications during email migration, especially when two clients that run on different platforms are involved. One such complication is the large size of converted Pst file. There can be problems importing large Pst files in Windows Outlook. With Ultimate tool, you can keep it in check. Simply enter the desired size for Pst file (recommended 15 GB) in the given box to keep the size under control. In case of large databases, the tool creates new files as required if the limit is crossed. Ignore Empty folders – Automatically exclude all empty folders from conversion, as opposed to un-marking each empty folder manually. Folder Preview and Selection – See the folders inside your selected database folder or Olm file, and convert them selectively. Simply mark or un-mark them. Support for S/MIME defined content – S/MIME is a standard used in sending secure email messages that are defined by MIME standard. Ultimate supports the conversion of S/MIME content fully. Preserve your folder hierarchy – Losing the structure of folders can be painful. Thankfully, with Ultimate you don’t have to worry about this. Batch Conversion – With ‘Custom’ option, you can load any number of Olm files and have them converted to Pst files. Full Log report – The full log report helps you analyzing the process and see the details of the data that was converted. Stable and light – The tool is very light on computer. It uses very less RAM and processing. Mac compatibility – It is the only tool that runs directly in Mac. It runs on 10.6 OS X or higher. Pst files supported everywhere – The Pst files that it generates are supported in all Windows Outlook versions starting from 2007. It is also supported in Mac Outlook 2016. The tool is tailored for basic users in the interface aspect, but it is also applicable for large-scale migration, functionality wise. That simply means you can do a lot…and easily. It’s an effective mix of sophistication and simplicity that makes an otherwise daunting job of email migration…a breeze. Email migration is a growing industry, and in spite of the everyone migrating their data everyday (collectively) from one client to other, finding a viable solution is a nightmare. We all have heard of data loss stories; these can induce fear and anxiety. One look at the reports of users who have used the migration tools and all of us go into full panic mode, not knowing how to proceed. Gladwev Software put a lot of efforts in getting all the pieces right, just to better this situation. The direct-to-source approach (auto-loading identity folder) puts things into better position, makes users less anxious, and turns the job into automatic relaxing task. There is nothing worse than losing thousands of emails, images inside them, the folder structure, email headers, attachments, meta-data, etc. With Ultimate, all of this have been polished off, leaving smooth, effortless, and professional email migration. Support – Includes with all of this is 24×7 customer support. It’s not a regular support that many unreliable companies offer. At Gladwev, you will get full around the clock support that actually helps you, at answering your queries, fixing up any glitches, figuring out any setbacks together. The support is highly responsive and friendly. 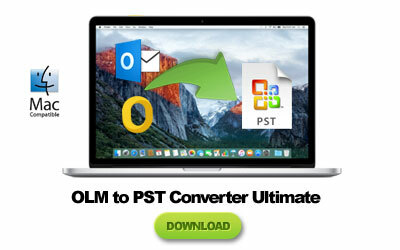 When you use Ultimate, you are not alone at converting Mac Outlook data to Pst files. There is a full team of experts backing you up. Updates – It’s important to keep on updating any piece of software. Because usually they run on operating system and interact with other software. Just as this tool is dependent on Mac Outlook and Mac OS X. Gladwev regularly brings updates that maintain the performance of the tool with the ever changing Mac OS and Mac Outlook. The links are given below. Click on the appropriate link to download the free trial setup or to buy full Olm to Pst converter serial. ← .Olm to .Pst Freeware or Professionally Built Paid Tools?